There's always a choice to do what makes you feel good or not. So, here we are a few weeks into the new year! 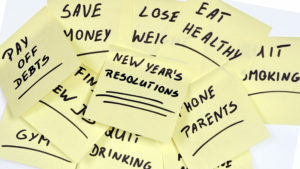 How many of you have kept your resolutions? 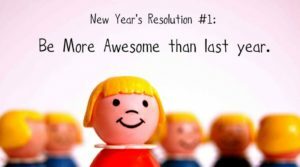 How many made resolutions? What definitely helped me this year was not calling them resolutions. I’m just choosing to do what makes me feel best and when I think that way it’s far easier to maintain that level of goodness. Across the board with almost everything! There’s always a choice to do what makes you feel good or not. Like, take a walk, or not, have another martini, or not, order extra fries, or not, you get the picture. I’m not saying choosing good wins every time, but just being aware of the choice and how it’s going to make you feel goes a long way! Thinking that way also lends to “being present” and “living in the moment”. Simply getting up in the morning and choosing happiness can set the tone for the day. You certainly can’t always help what happens but you can choose how to handle circumstances and your attitude towards them. What you tell yourself are your affirmations. Affirmations that you tell yourself over and over turn into your beliefs. Your beliefs are something that you continue to think. Purposefully telling yourself that you’re brilliant, talented, gorgeous, and abundance and prosperity is already yours will instill in you the positive reinforcement and self love that you need and want! It works! That’s not to say that you’re going to feel that way 100% of the time but you’ll be on the right path to achievement and success in your hearts desires. It worked for me! Now, since skin is my thing,here’s some additional tips that will help with maintaining that glowy,healthy, and rejuvenated appearance and that certainly won’t hurt us in the quest for a plethora of good fortune in all areas! Drink more water. Up to 70% of the human body is water. Skin is the largest organ. It is important to maintain a healthy level of hydration so that we look supple and dewy. When we are dehydrated it shows. Think about how you look after a night of drinking too much….tired, dull, sunken, not good! So drink up! I know this is going to be a tough one (especially for me) but try to unplug from email and devices after a certain time each night. The constant interruptions that our phones give us are causing a squirrel mentality. Also, if you really need mental clarity you need to quiet your mind so that you can truly hear. Consume less and be mindful of the purchases you make. We have become such a throwaway society. Trying to fill voids with things. A clutter free life is conducive to a stress free life! On a personal note I’m going to try my best to eliminate single use plastics. It’s a small contribution but every little bit helps. Spend more time outdoors. Now, I know some of you will say what about UV rays? I need to clarify, when I say “be careful of the sun” that doesn’t mean stay out of it. Wear SPF. I always wear it on my face neck and decollete. Once I’ve gotten my healthy dose of vitamin D (15-20 minutes or so) then I cover the rest of myself in SPF. There’s nothing that makes you feel more alive than time spent in the great wide open. To circle back around….do what makes you feel good. Choose that over and over again. When it feels good, body, mind, and soul then it is the right thing to do. Your inner self will never steer you wrong. 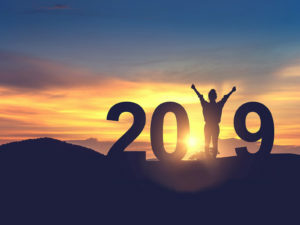 Here’s to the rest of a happy 2019!